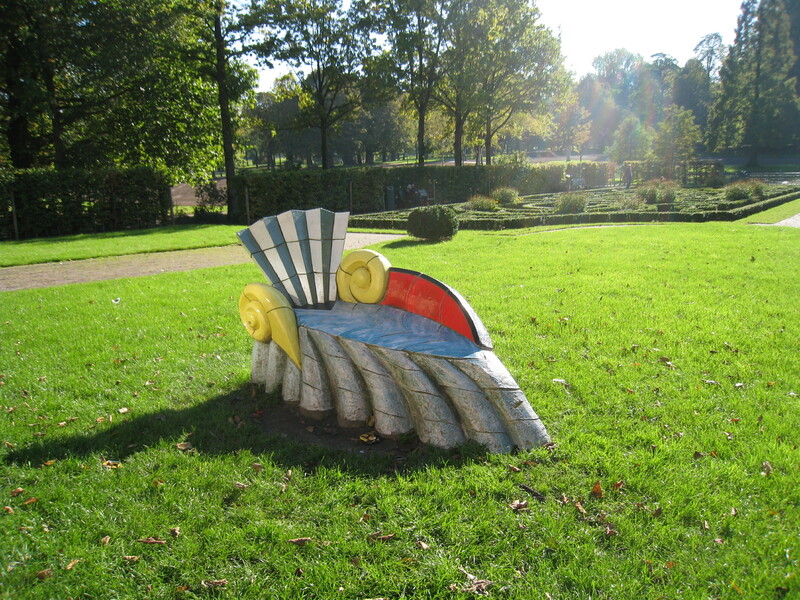 This snail sits in Het Park (The Park) in western Rotterdam in an area bordered by the river, the historic Scheepvaartkwartier, the Maas tunnel and the Westzeedijk. The photo was taken late in the morning on a warm and bright Sunday in mid-October. Such a day in Rotterdam is pleasing at any time of year, but in October it is a minor miracle.